Jean and James share their excitement for the upcoming releases of macOS Mojave and OmniFocus 3 for Mac. James follows up on last week’s calendar discussion with some thoughts on using the Forecast perspective in OmniFocus 3. Jean considers options for finishing her taxes since her longtime accountant has retired. Jean and James assure TurboTax that neither of them have a railway pension. 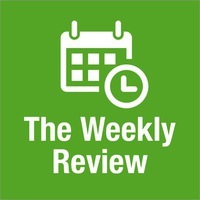 Listeners: We encourage you to do your weekly review, if you haven’t already. And after you finish your weekly review or if you reach a goal like hitting Inbox Zero, we’d love to hear from you on Micro.blog (@TheWeeklyReview) or Twitter (@WeeklyReviewFM).